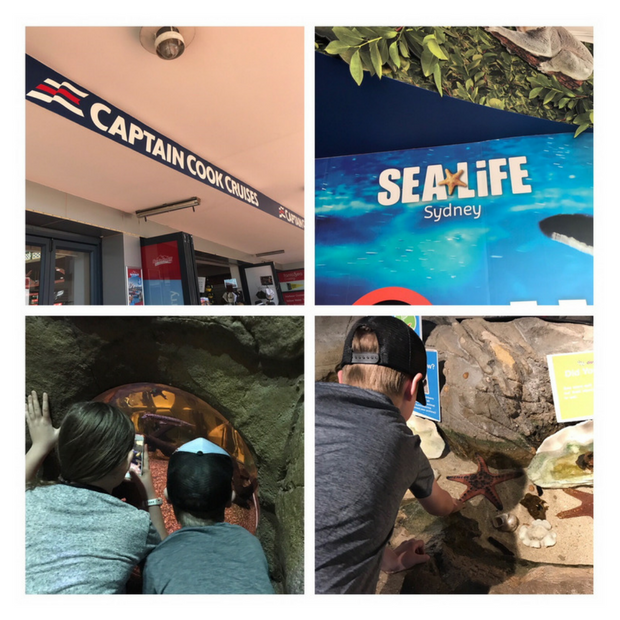 Captain Cook Cruises and Sea Life Sydney Aquarium have partnered to offer the ultimate day out for kids and adult marine lovers, with a Sea Life Sydney Aquarium and Whale Watching Cruise combo. 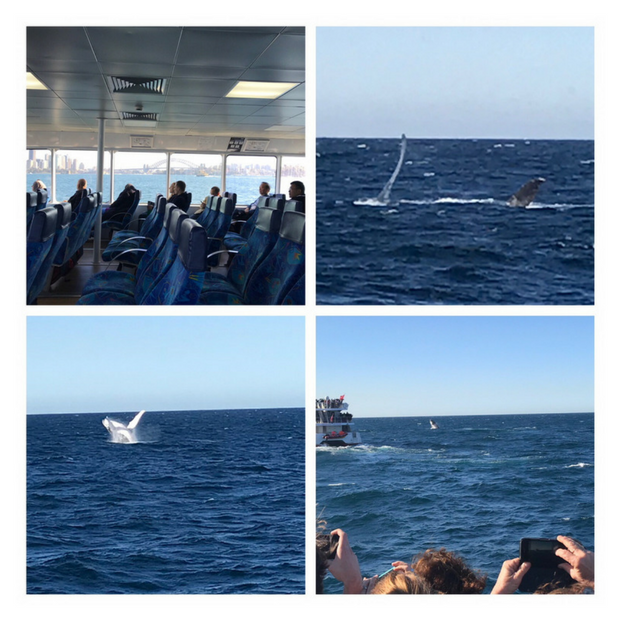 Last Sunday the whole family set off for Pier 26 Darling Harbour where we picked up our SeaLife + Whale Watching Combo tickets from Captain Cook Cruises. The day started with a morning visit to Sea Life Sydney Aquarium where you can discover the underwater world like never before. SeaLife is one of, if not our favourite attraction at Darling Harbour. There is always so much to see and do and the kids love getting up close to all the marine life, especially the star fish at the Discovery Rock Pool. After heaps of fun at SeaLife it was on to our next adventure. Every year between April and November, Australia’s eastern coastline comes alive with the spectacular acrobatic displays of humpback whales. After a summer of feeding on krill in Antarctic waters, these charismatic animals migrate north to sub-tropical waters where they mate and give birth. 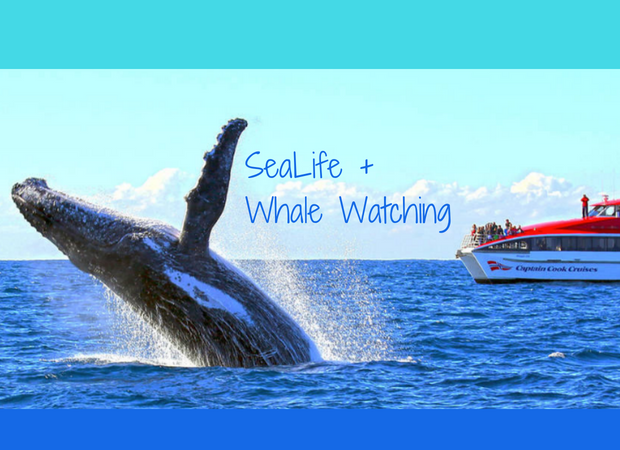 From August 1st until September 28th SEA LIFE Sydney Aquarium is running an activity hub for guests to learn all about whale migration and behaviours. Every guest will also receive a take-home poster to learn more about whales at home too! We were so excited to go on the whale watching cruise, but we had to get to Circular Quay first. No problem – we all hopped aboard the Captain Cook Rocket Ferry from Darling Harbour (just outside Captain Cook Cruises). 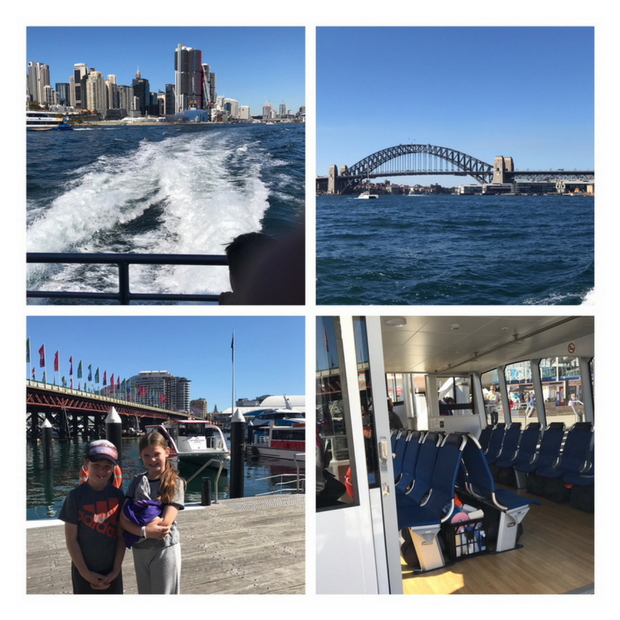 This super cool ferry took us to Circular Quay via a few extra stops on the way, so we got to check out a bit of the harbour! It was such a lovely day so we decided to sit outside on back of the boat. I had to hang on because when this ferry goes, it goes fast – needless to say the kids loved it! Then we were on our way to see the whales! The boat was great and the crew were so friendly and informative. Captain Cook Cruises offers every passenger a whale guarantee; if a whale is not spotted, passengers can cruise again for free! We didn’t have to worry as we saw about 6 humpback whales. The cruise went for around three hours and if you are prone to seasickness I would advise taking something for that as it can get quite ‘bouncy’. A couple of us got a little seasick towards the end of the cruise but the crew were great with assistance and tips to make us feel better. The fun filled combo operates daily until 31 October 2018 and offers savings of up to $40 per person.